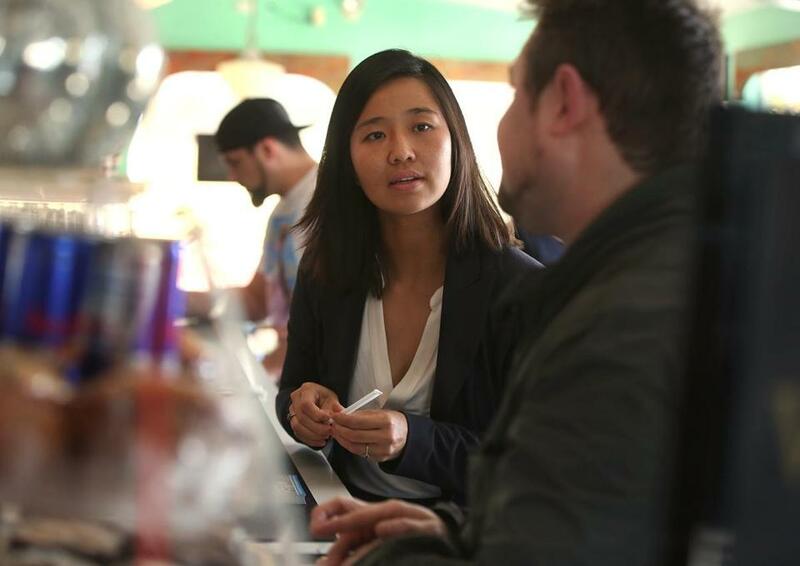 Michelle Wu campaigned for re-election at Victoria&apos;s Diner earlier this month. City Councilor Michelle Wu announced Friday she had secured enough votes to become the next president of the Boston City Council, a feat that would make her the first Asian-American and the first woman of color to lead the body. Wu said in an interview she had votes from at least seven of the 13 councilors, seemingly assuring her the president’s post. It appears to be the same coalition that backed outgoing City Council President Bill Linehan. Wu’s ascension to the largely symbolic post represents a significant political victory for the council’s youngest member, who has yet to finish her first term in office. The council is expected to vote on a new president Jan. 4, after newly elected councilors are sworn in. Councilors vying for the position line up votes well in advance. The 30-year-old Wu took office in 2014 after a successful campaign backed by her mentor and former law school professor, US Senator Elizabeth Warren. Earlier this month, Wu easily won a second term as an at-large councilor representing the entire city. Jockeying for the position intensified this week following an election that ousted the two longest-serving councilors. “I look forward to supporting the council’s work in partnership with the mayor to keep improving the quality of life for all residents,” Wu said. Wu’s coalition is underpinned by the council’s more conservative bloc, which includes Linehan, who is leaving the president’s office because councilors can serve only two consecutive years. Wu played a crucial role when Linehan, who will remain on the council, captured the presidency, casting her vote for him despite pressure from liberal supporters. Linehan rejected the notion of liberal and conservative blocs on the City Council. With Wu’s announcement, it became clear that although Councilor Matt O’Malley had the backing of the council’s more liberal members, he fell short of the seven needed votes. O’Malley had secured five votes, including himself. The four councilors who had publicly pledged to support O’Malley were Tito Jackson, Ayanna Pressley, Josh Zakim, and Annissa Essaibi George, who takes office in January. In capturing the leadership post, Wu forged an unusual alliance. She has described herself as a pragmatic “progressive,” and has championed causes associated with the political left. Her accomplishments included a law guaranteeing that transgender municipal employees and their dependents have access to gender reassignment surgery, hormone therapy, and mental health services. 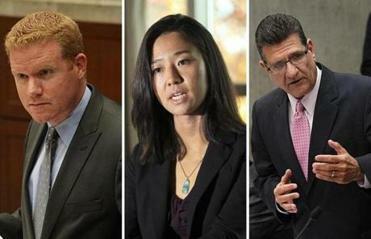 But by aligning herself with Linehan, Wu alienated some liberal activists. Linehan said Wu earned his vote because she is thoughtful and sticks to her decisions, even under duress. City Councilor Mark Ciommo of Allston-Brighton also made a play for the presidency, but he abandoned his bid and said in a statement he would support Wu. Councilor Michael Flaherty, who previously served as council president, also said he planned to vote for Wu, expressing confidence she would prove effective. The two other councilors voting for Wu are Frank Baker of Dorchester and Timothy McCarthy of Hyde Park. They did not return messages seeking comment. Incoming councilor Andrea Joy Campbell has not publicly backed a candidate. Meghan E. Irons of the Globe staff contributed to this report. Andrew Ryan can be reached at andrew.ryan@globe.com. Follow him on Twitter @globeandrewryan.